How to Set Up a Delaware Trust. The state of Delaware offers two main incentives for utilizing public financial services. First, Delaware does not impose taxes on trusts. Second, the privacy Delaware affords those setting up trusts and the beneficiaries is second to none. If you want to set up a Delaware trust, you will need a little more planning than for a traditional trust setup, but it can be well worth the time. Decide what type of trust is right for you and your family. There are many types of Delaware trusts available that can be customized to your needs, and they are all tax-free. These include living trusts, dynasty trusts, trusts under wills, charitable trusts, IRA beneficiary trusts, special needs trusts, asset protection trusts, life insurance trusts, irrevocable grantor trusts, minor's trusts and rabbi trusts. Contact an attorney who specializes in estate planning and trusts in Delaware. This person should be familiar with the privacy laws, tax exemptions and state bar requirements specific to this state. Work with your attorney to create a trust that encompasses all your financial goals. You can invest your life insurance into an irrevocable trust, ensure your IRA account is entrusted to your appointed beneficiary or set up a trust that doles out your estate assets in the form of a living will. Name a trustee for your trust who is a resident in the state of Delaware. This can be a family member, friend or a corporate trustee in the state of Delaware. A co-trustee can be located in any state of your choice. Create a charitable trust in which a portion of property or income is distributed to a charity over a certain period of time. During the distribution period, the donor can retain up to 5 percent of the equity in property or value of assets until the distribution period ends. At that time, the charity will receive full benefits of the trust. In the state of Delaware, your trust information is not available to the general public. Unlike other states, this is why wealthy celebrities and public figures prefer to have their trusts set up in Delaware. Appoint a trust protector when you set up your Delaware trust. A trust protector ensures the trustee properly manages the trust. The trust protector may oversee investment decisions and ask for periodic accounting reports from the trustee. A trust protector is not required for establishing a trust within the United States. Only when setting up a trust offshore is a trustee protector required. Many "do-it-yourself" trust setup kits claim to save you time and money by providing you with the forms and software to set up your own trust. 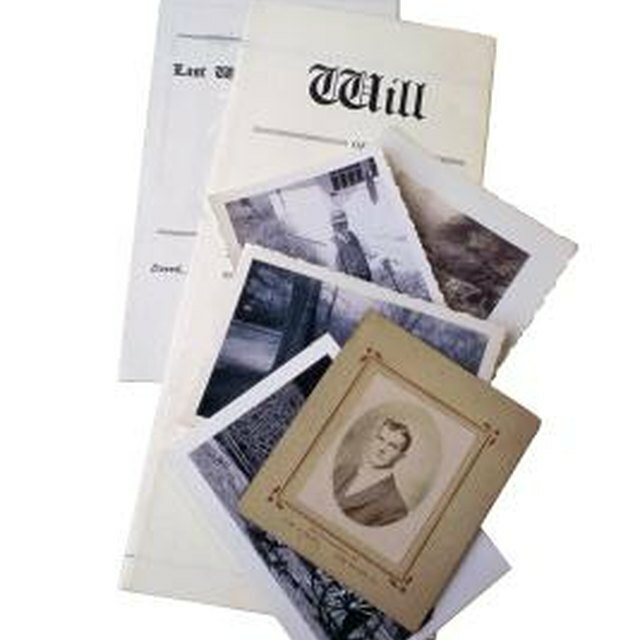 These kits do not guarantee their work or have the capability to design the best estate-planning tools for you and your family. Consult an attorney or investment adviser instead to reliably set up your Delaware trust. A trust protector is not required for establishing a trust within the United States. Only when setting up a trust offshore is a trustee protector required. Many "do-it-yourself" trust setup kits claim to save you time and money by providing you with the forms and software to set up your own trust. These kits do not guarantee their work or have the capability to design the best estate-planning tools for you and your family. Consult an attorney or investment adviser instead to reliably set up your Delaware trust. In the state of Delaware, your trust information is not available to the general public. Unlike other states, this is why wealthy celebrities and public figures prefer to have their trusts set up in Delaware. Appoint a trust protector when you set up your Delaware trust. A trust protector ensures the trustee properly manages the trust. The trust protector may oversee investment decisions and ask for periodic accounting reports from the trustee.